Almost every one of us has experienced serious infatuations at some point. These tug at our heartstrings, while we sleep, sprawling over pesky cushions. The painful obsession can be about anything. It can be expensive shoulder bags stacked inside air-conditioned outlets. The ones making you say, “I’ll come back for you”. Of course, they guarantee depression if you walk out empty-handed. My curiosity shot to the highest degree upon hearing the term Magnum CB radio. This resulted in perceiving the fact that different factories manufacture their radios. Guess the very next thing I’d done? I had to stalk the greatest Magnum radio in a metropolis. Magnum radios were destined to become my obsession. Especially the 11 Meter ones- the CB radios. I pushed open my PC to browse these radios over the slow internet. The results popping up on my illuminated screen were worth drooling over. 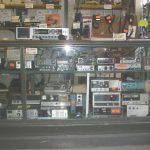 I bookmarked all the great CB radios from Magnum I had hunted. Not to mention copying top details on notepad stuck to my desktop. I opened it up to read it after days of the proper investigation. This is how my computer’s organized sticky notes looked like. Magnum S-380: It is RF-limited, 10 Meter export radio. The radio is extremely sleek and smart-looking. Power output is 80W with radio providing AM/FM modes.It comes with volume, squelch, RF gain, mic, and dual echo controls. The radio also offers variable talkback and RF power. It also provides flashing SWR alert LED. Magnum S9 10 Meter Radio: This radio offers 45 + watts PeP power output with AM/FM. Also has SSB modes. The Magnum’s digital Turbo echo comes with variable volume and delay controls.It also has a variable All Mode Talkback with easy adjustments. Up till now, I was excited about my achievements. I scroll through the screen to find the order button. My giggle ended in dismay when I read the word in bold “Discontinued”. I felt my heart throbbing against me with smoke bursting out of coffee mug. This tear-jerking experience shattered the chain of my dreams. However, I successfully dug up an effective solution to cure my depression. “The alternative”- You will easily get a lot of alternative options. 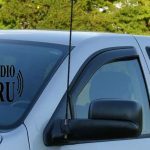 I finally convinced myself for choosing good substitutes for these radios. It is a bit heartbreaking that most of the magnum radios are discontinued. But you can easily get some second hand CB radios of the brand from online or your nearby shops. Finding new Magnum radios has become a tough task in present. People have different opinions about why their production has been stopped. The only way for purchase is searching for used ones sold at e-auctions. I quickly realized going for a substitute is a better option. Indeed, better than bidding for used radios anxiously. 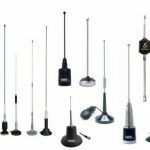 I found out a number of other good radios that can offer me a better radio experience. My mood uplifted so much that I jotted down a few. The main thing you need to understand is that you will get better products online instead of radios from Magnum. You just need to make some good research or ask your peers. But I have you covered here. Here are some substitute radios to buy if we’re in the same boat. It is a 10 Meter radio with Single Sideband. It covers 75+ Watts PeP Power Output. However, it produces 90+ watt for Amateur Radio set up. The radio also features selectable ‘Color Display’ and SWR Meter with Autocalibration. Notable mentions are VFO Mode along with Digital Echo and Talkback Functions. This product resembles the former. However, it provides 200+ Watts PeP and 250 Watts for Radio Alignment. This works in USB/LSB Modes with Echo & Talkback features. Moreover, this Galaxy CB comes with Illuminated Faceplate. 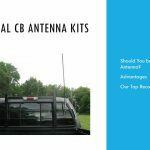 If you’re not happy with the above two options, you can go through a number of other distinct brands too for CB radios. 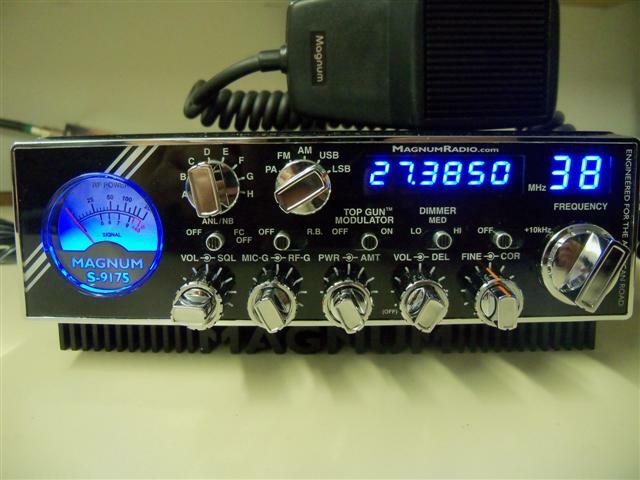 I wholeheartedly accepted my failure in buying new Magnum CB radio in the market. Magnum radios have become obsolete and unavailable for many stores. Whereas, bidding on used ones didn’t appeal me due to an unguaranteed phenomenon. However, I don’t regret my enthusiastic Magnum Radio’s hunting adventure. I embraced the possibilities of having mesmerizing radio experience. All by using other top-notch brands with your hoard lurking behind. It seems that RF Limited (manufacturer of Magnum radios) originally was a Palomar Electronics, and now they got that name back. 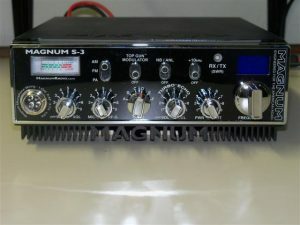 They do not make Magnum S-9’s anymore, but it seems that they have radio called Magnum 1. I personally never tried any of them, so I can’t compare old ones and new one. The design of front panel is different for sure.